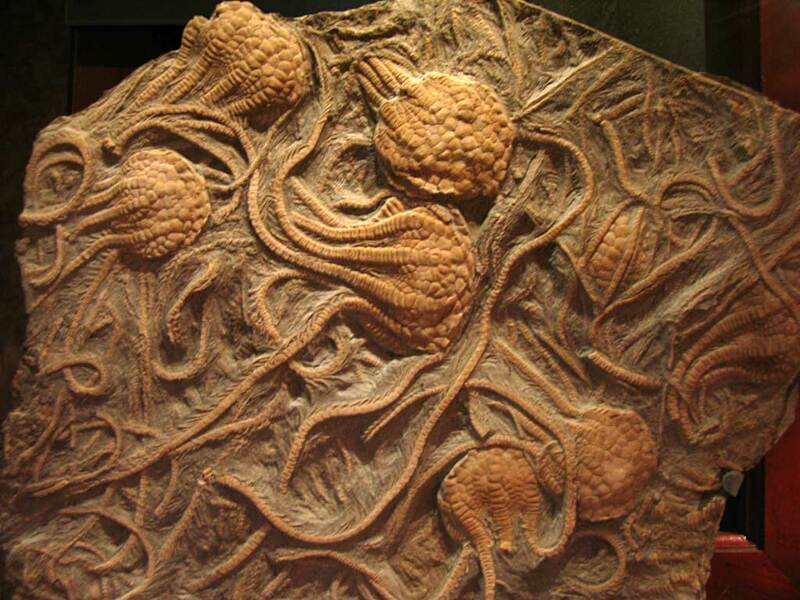 This is an amazing plate showing the fossilized remains of Uintacrinus socialis crinoids. Picture taken at the Smithsonian National Museum of Natural History in Washington, D.C. in 2010. Creatures lived in the Cretaceous Period in what is now known as Kansas. 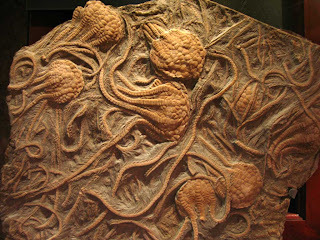 The display described the arms of this crinoid could grow to a meter in length.